WASHINGTON (April 28, 2016) - The National Association of Black Journalists (NABJ) has selected veteran journalist Steve Crump as the recipient of its first Journalist of the Year Award recognizing a journalist in a small or medium-sized market. The award, which has been named the Journalist of Distinction Award, seeks to recognize broadcasters reporting outside the top 16 television markets and/or print or digital journalists from outlets with a circulation of less than 150,000. The journalist will have distinguished his or herself with reporting which provided some breadth and depth in coverage of a topic or topics of significance to people in the African Diaspora. "Steve Crump is a talented journalist who excels at both general assignment and enterprise reporting. 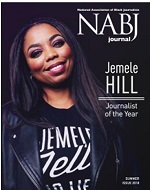 He is committed to storytelling that is not only credible, but also creative and compelling," NABJ President Sarah Glover said. "His reporting is crisp, clear, and concise, but his approach keeps the focus on the story and expertly engages the audience." In 2015, he traveled to Charleston, South Carolina to lead his station's coverage of the tragic Mother Emanuel Church shooting. He went to Selma, Alabama for the 50th Anniversary of Bloody Sunday and interviewed civil rights trailblazer Andrew Young. Crump also sat down with Bree Newsome, the Charlotte woman who removed the Confederate flag from the flagpole on the grounds of South Carolina's Capitol. Crump, a longtime reporter at WBTV, Raycom Media's CBS affiliated station in Charlotte, has reported and anchored in Lexington, Kentucky, Orlando, Florida; Savannah, Georgia, and Detroit. He has also worked as a freelance reporter for BET News. Alexis Mitchell, a WBTV colleague and president of the Charlotte Association of Black Journalists, also praises his work as a documentary filmmaker, a passion Crump pursues away from his day job. "At least 40 hours a week, he is a full time reporter with WBTV, and in his spare time he has produced more than 25 documentaries for the local PBS affiliate. In most instances they've been done using vacation days and paying for them out of his own pocket," Mitchell noted. Creative Loafing Charlotte's staff selected him as its Best TV News Reporter noting that Crump is "that rare breed of TV journalist: one who takes his job, and his responsibility to the news profession, seriously." Respected locally and nationally, Crump has been given a bevy of other journalistic honors including a number of regional Emmy Awards, several National Headliner Awards, and a number of National Association of Black Journalists Salute to Excellence Awards. Crump will be honored during the organization's Convention and Career Fair in Washington, DC, Aug. 3-7. 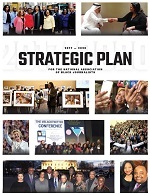 NABJ congratulates Steve Crump on this worthy recognition of his work.